Marching bands, honored veterans, current servicemen, balloons, cheering, fancy cars… One of the great things about NYC is that you get to pick a parade depending on your borough. 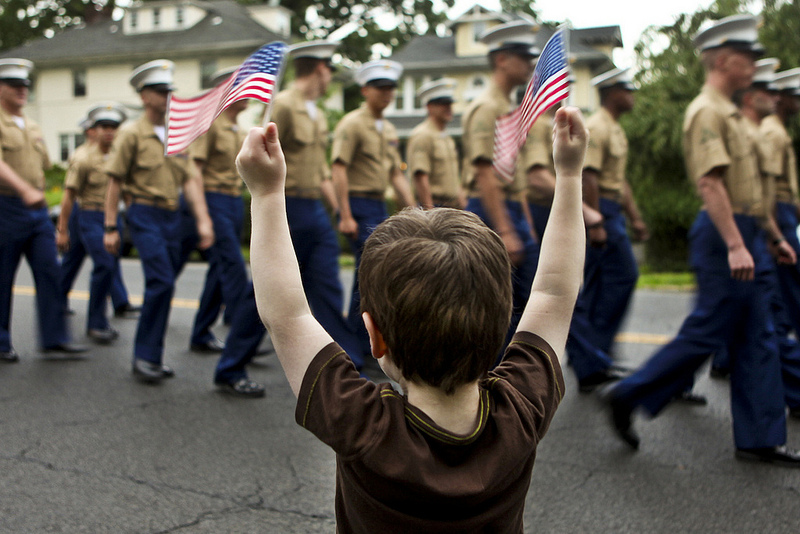 The Little Neck-Douglaston Parade in Queens is known as the largest Memorial Day parade in the United States. The community recently rallied around the parade when it looked as if the event wouldn’t happen this year, but now everyone is counting down to the big moment on Northern Boulevard between Jayson & 245th. Other, somewhat smaller, parade options include one that starts at the corner of Broadway & Dyckman Street in Inwood; and another located in Bay Ridge, Brooklyn. The latter is approaching its 150th year, and will kick off at 11:00 am. But if you’d like to stay close to home, check out NYC.gov for more parade information, including start times and intersections. 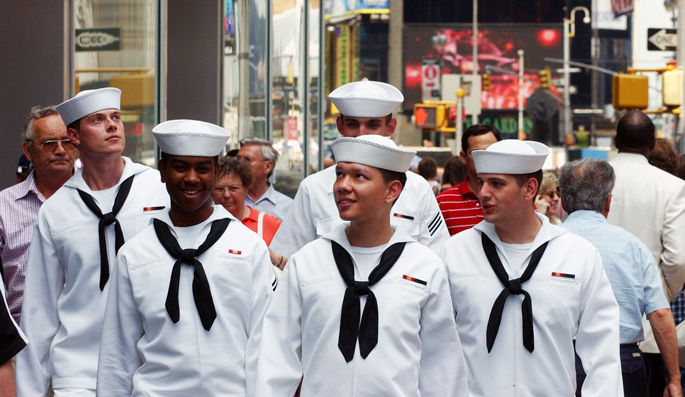 Fleet Week started yesterday, May 21st, and there are currently a host of events to choose from. Until May 27th, events open to the general public include ship tours at Pier 92, aerial demonstrations, and the Staten Island Fleet Week Committee Music Festival at Sullivans Pier in Staten Island. Of particular interest: USO Military Appreciation Day during the Mets game on Monday, May 26th, at Citi Field. First pitch at 1:10PM. The harsh weather lent itself to roaming cozy museums and snuggling up indoors with a movie, but now is the time to seize the season and take in some art and fresh air at the same time. 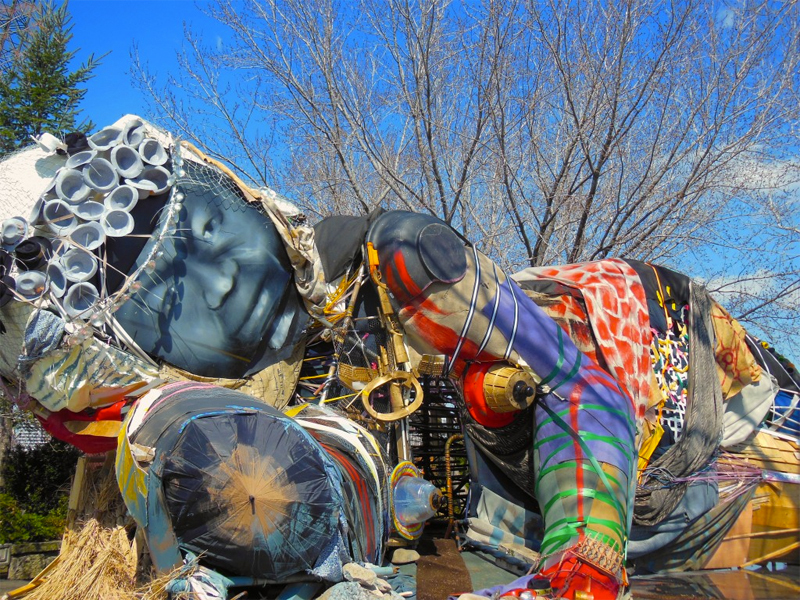 Open from 10AM to sundown, head to Queens’ Socrates Sculpture Garden to see incredible works of art outdoors. Designs by Meschac Gaba, Pawel Althamer, Zelvinas Kempinas, and Austin+Mergold abound. You can also stroll around the grounds and admire the massive works of art juxtaposed against a view of the Manhattan skyline. Grab a blanket and settle in for a flawless afternoon concert in Sunset Park. 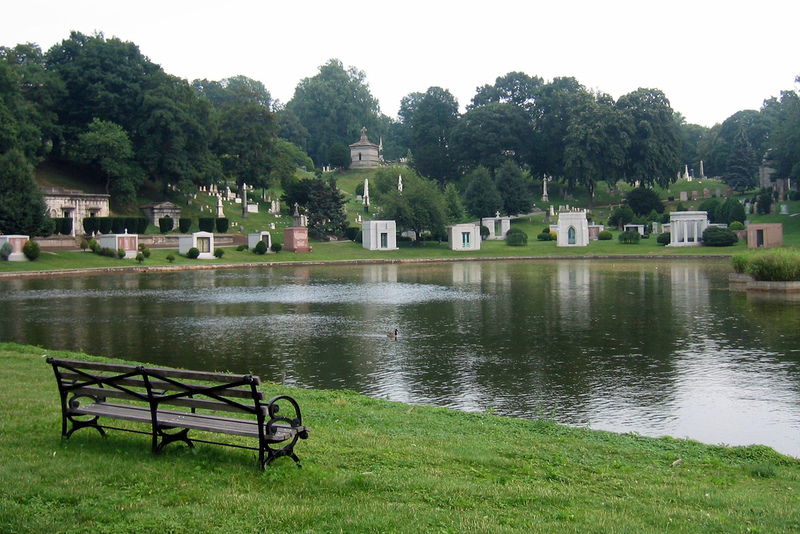 The ISO Symphonic Band puts on its 16th annual performance on the 26th at 2:30PM at Green-Wood Cemetery. Every year, they play selections from a few of Green-Wood’s residents, including Fred Ebb, Louis Moreau Gottschalk, and Leonard Bernstein. The concert is free, but the program also accepts contributions. The ISO Symphonic Band is a collection of students who audition for a place and a chance to play in these concerts. They are partially supported by donations to cover their schooling and fees. After the concert you can take a $15 trolley tour around the area with a Green-Wood historian. Just be aware that spots fill up fast, so reserve your place ahead of time. 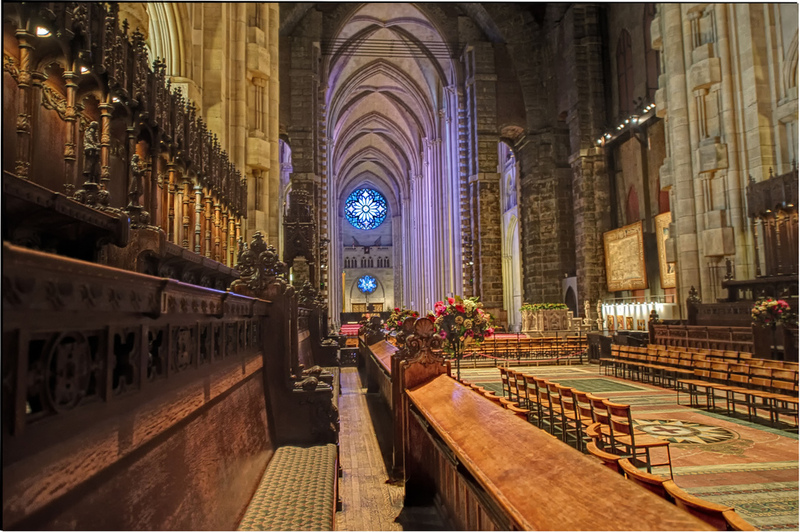 If you’re in the mood for a concert, but plan to be out and about during the afternoon, catch the New York Philharmonic at The Cathedral Church of St. John the Divine. 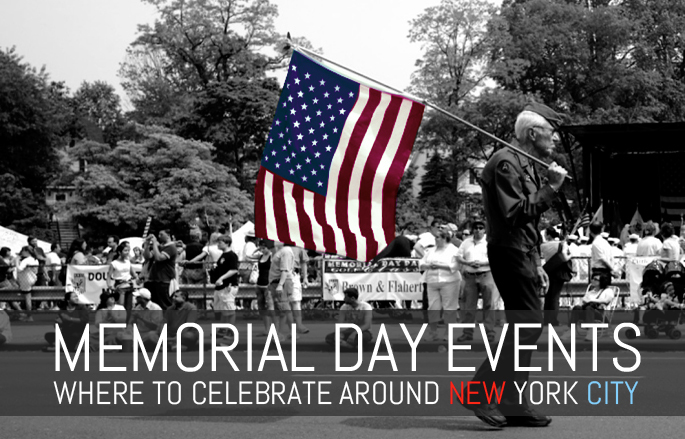 The free, annual Memorial Day concert, conducted by Alan Gilbert, Music Director, highlights Tchaikovsky’s Symphony No. 5 and Nielson’s Helios Overture. The program starts at 8PM, Monday, May 26th. Tickets are free, but are available on a first-come, first-served basis starting at 6PM. And if you don’t want to wait in line, the audio will be broadcast on the Pulpit Green, next to St. John’s (weather permitting). ***Apart from all the hoopla, we hope that you will also take a moment to remember why we are celebrating Memorial Day. It’s more than a beautiful weekend at the end of May, and it’s certainly more than a Monday away from work; it’s a holiday to honor the people who have died in battle, and those who have suffered wounds from the war. These are people who fought for our country and carried the United States proudly on their shoulders. They deserve our utmost respect.